Indonesia offers some of the best Diving spots in the World. 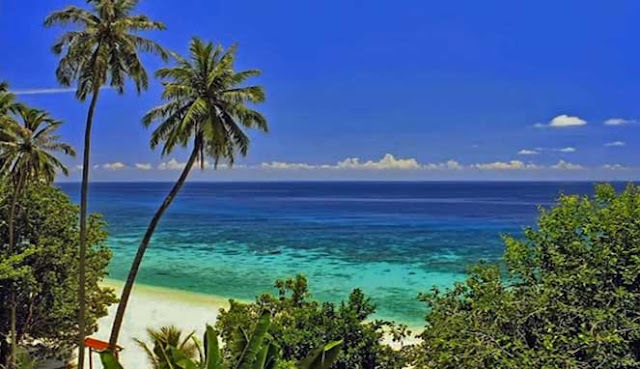 In addition to Scuba Diving on Komodo Island, Raja Ampat, Indonesia also has a small island north of Sumatra Island that still unknown to tourists and divers is Weh Island Aceh Indonesia. Weh Island really has something special. Diving here is very diverse. The Indian Ocean to the east of the island and the Pacific Ocean to the west of the island both of which greatly contribute to biodiversity and various marine life. Weh Island is a small volcanic island located on the western tip of Sumatra Island. 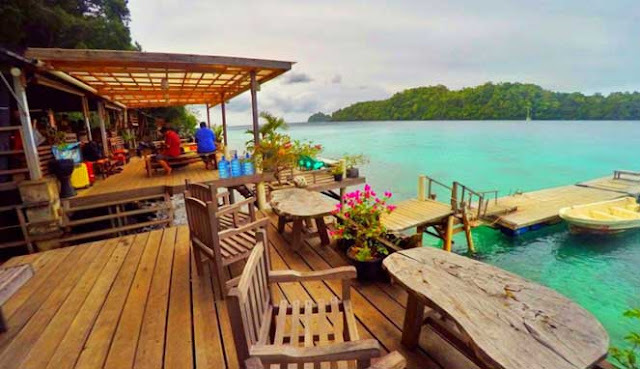 The island with the capital of Sabang is awarded world-class underwater beauty, so it is not excessive if Weh Island is a paradise of Lovers Diving. Spot diving on Weh island is very unique and challenging because there is a strong current and there is also an underwater volcano (an active submarine volcano group) at a depth of about 8 meters below the surface of the water. In Weh island Aceh there are varieties and quantities of marine species is very remarkable. Some of the most colorful species you can find here include the Juvenile Emperor Angel Fish, one of the funniest little creatures in the Pacific Ocean. With a pretty good visibility that is usually about 25 meters, you can enjoy Underwater Weh Island, The Paradise Lovers Diving world. Weh island points of interest, best dive spots on Weh island is "Tokong". a huge volcanic peak surrounded by colorful fish, black tip reef sharks, and occasional manta rays are known in the world as moray moth eels of the world that even they can be found hidden in every hole. Although the current is very strong, Spot this dive not to miss. 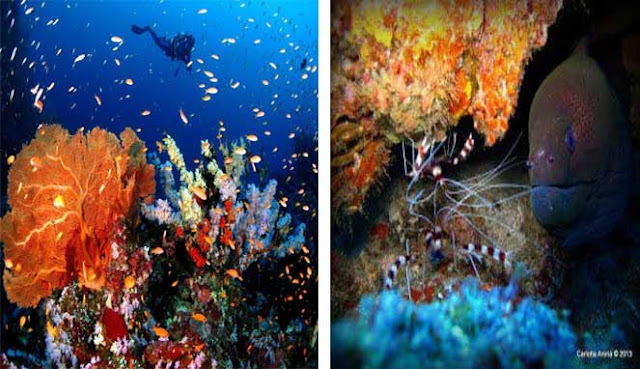 Weh island Sabang is also a great place to dive in the deep sea. 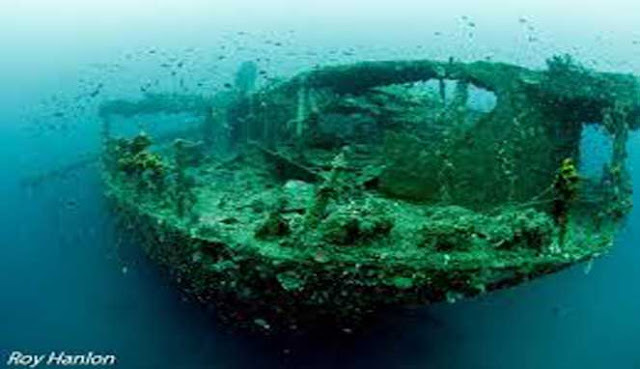 The Sophie Rickmer Ship Wreck, a shipwrecked cargo ship during World War II along the 134 meter deep within 60 meters you can find in this place. At Weh island Sabang Aceh Indonesia you can also dive floating slowly through the underwater canyon with the coral reef walls looming on both sides of you. On the Weh island of Sumatra, which the Indonesian government considers to be a nature reserve besides having stunning underwater scenery, you can also find Big Mounted Sharks, Bufo Valhallae (endangered frog habitat, Sophie Reck shipwreck of German heritage drowning in waters Sabang, a beautiful natural coral reef habitat of various types of fish. 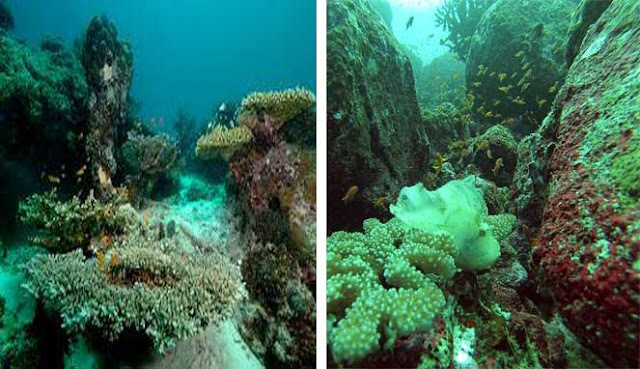 During the years 1997 - 1999, Conservation International conducted a survey on coral reefs in Weh Island. According to the survey, the diversity of the reefs is relatively small but the diversity of fish species is enormous. There are many types of fish that you can find in the waters of Weh island Aceh, Dintaranya Pogonoperca Ocellata, Chaetodon Gardneri, Chaetodon Xanthocephalus, Centropyge Flavitpectorallis, Genicanthus Caudovittatus, Scarus Scaber, Zebrasoma Desjardinii and many others. In addition to the challenges that make adrenaline divers challenged in Weh island Indonesia, you can also relax around Weh Island Beach like Iboih Beach, with its beautiful beach charm with its very complete facilities, Zero Kilometer Monument that has a unique historical value, Klah Island enchanting, Kasih Beach with its fine white sand and clean, Elephant Tapak Beach with its clean and crisp sand beach combined with clear sea water, Sumur Beach Tiga, relax with perfect scenery or Rubiah Island, a charming island which is unfortunate if you go through its beauty. Diving In Weh Island, always nice all year round. As the water begins to cool down in late September to early October, Big beings will arrive on the island. Manta Ray can be easily seen with the lean big Mouth Sharks. From Port Ulee Lhueu, Banda Aceh, you can use the ferry to go to Balohan Port, Sabang. Arriving at the Port of Balohan, the journey continues by using a rental vehicle or public transport to Explore Weh Island, Paradise Lovers Diving. Weh island accommodation - The best place for your stay in Weh island is on Iboih Beach. You can stay at Erick's Green House, Eka's O la-la, or at Pele Palace and other places that offer clean, friendly accommodation and certainly at an affordable price. Iboic Beach offers several restaurants with delicious local and western food. Deedee's Kitchen, Mama's and O La La offer some delicious dishes for you. Enjoy every moment at Weh Island. Weh Island Aceh Indonesia The Paradise of Diving Lovers, We are sure you will fall in love with this island and its friendly people.